We were lucky enough to have Wilder Nicholson join us in 2017 to highlight the original research students are doing on Hurricane Island. Whether it is with school groups that visit our shores or individual students who enroll in our summer programs, authentic student research is one of the features of Hurricane Island programs. Contact us to learn more! Authentic, impactful, place-based research is one of the hallmarks of Hurricane Island student programs, both in the summer and during the school year. We help students identify questions THEY are interested in and help them design and implement their own research. In 2016 we started our collaboration with Conservation Media Group and welcomed Wilder Nicholson to our campus to produce three videos! We are pleased to present our "A Day in the Life" short film series! Part one (out of three) is the perfect introduction to the incredible work we do through our youth programs out on Hurricane Island. Special thanks to Conservation Media Group for making this work possible and for supporting our fabulous film fellow Wilder Nicholson! The second video in our "Day in the Life" short film series focuses on the applied research being conducted by Hurricane Island staff (and our participants!). Director of Research Caitlin Cleaver takes us up close and personal with the Collaborative Scallop Project, from the dock, to the boat, and even under water. Special thanks to Conservation Media Group for making this work possible and for supporting our fabulous film fellow Wilder Nicholson! The last video in our Day in the Life series, in collaboration with CMG Fellow Wilder Nicholson, focuses on our facilities and sustainable systems. Director of Operations, Sam Hallowell, speaks about Hurricane as a sustainable community, the systems that support that effort, and we share it with others through education. In July of 2015, Hurricane Island Center for Science and Leadership (HICSL) participated in the first series of Conservation Media Group’s Catalyst Workshops in Kensington, Vermont at the Pinnacle Leadership Center. Sam Hallowell, Director of HICSL, attended the workshop and had the opportunity to work directly with filmmakers Jay Sia and Rita Liao. Together they developed the concept and pilot production of three short videos with the goal of helping HICSL create outreach materials to inspire students, teachers and concerned citizens of the environment to engage in the programs and efforts happening on Hurricane Island. In the fall of 2015, HICSL was awarded a CMG Action Grant to further the concepts and vision originally inspired in Kensington. 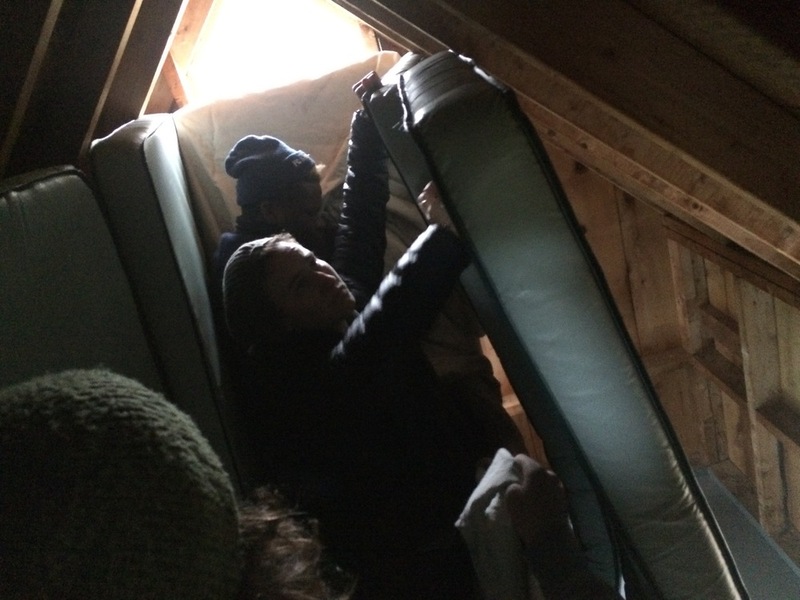 In October, filmmaker Jay Sia and a production crew, Chris Willams and Elicia Epstien from Chattanooga, TN, and Josh Wheelock from Brooklyn, NY, came together for 5 days on Hurricane to execute that vision. Here are the three videos that resulted from that Action Grant. Learning by Living...Discover Hurricane Island! Our experiential summer science programs on Hurricane Island help students think about their impact on the environment and their communities, locally and globally. Let science and sustainability teach you to be a leader for today and the future...learn more at http://www.hurricaneisland.net/summer-programs and join us on Hurricane in 2016! Curiosity is contagious. Teachers, expand your classroom to Hurricane Island. This is our second video with CMG! The Conservation Media Group (CMG) was founded with a mission is to build communications capacity to create measurable change through the use of video in ocean conservation and sustainable energy. CMG puts tools and resources into the hands of a corps of people producing and distributing film that has a positive effect on urgent ocean and energy challenges. Through workshops, residencies, grants and placement of fellows with partner conservation organizations, CMG helps create a new level of mastery in capturing, conveying and advancing urgent conservation goals through videos with real, measurable impact. The Conservation Media Group Catalyst Workshop brings together filmmakers, social media managers, campaign strategists, and conservation organizations for an intensive 7-day collaborative retreat. With only 10-15 participants, each workshop is a unique capacity building and networking experience. Makers and sharers are paired with conservation organizations on existing campaigns with the goal of creating new media and strategies for significant change and delivering their message. These action-focused workshops serve as an incubator for developing ideas, strategies and media for driving change in conservation. 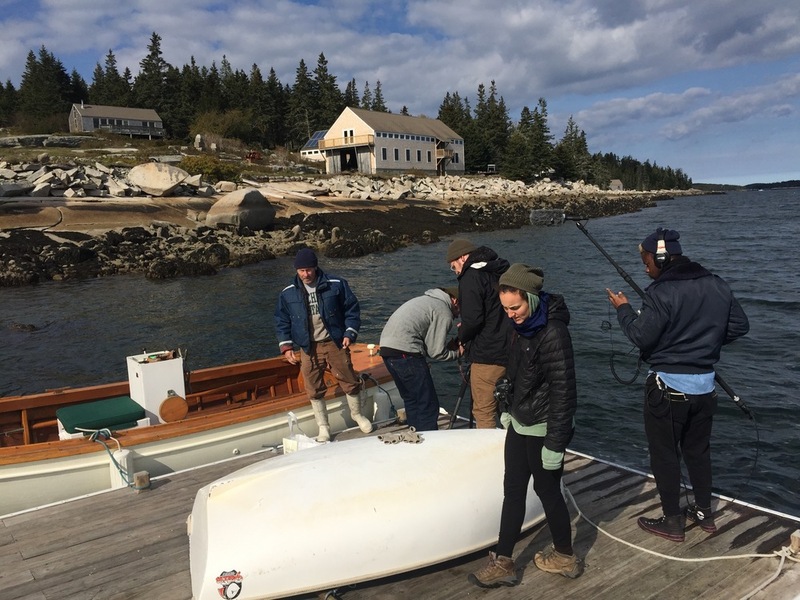 Participants collaborate to develop a video project over the course of one week at a nature-focused retreat center while forging new connections and laying the groundwork for future projects. Conservation Media Group has created opportunities for filmmakers, activists and organizations of all ages and experience levels through their Action Grant program. Included in the Action Grant is funding for the proposed production, post-production, distribution & impact measurement. Action Grant proposals may seek to create action locally, nationally, or internationally and may be based anywhere in the world.